Innovating the innovation process is essential for success. A renaissance is underway in using data, and the visibility it provides, to innovate device and system design, operation, and maintenance, as shown by these examples. In March, 2019 ABB Customer World will provide an opportunity to see more innovations in action. Crossing an ocean in very good conditions can require so little intervention on the part of bridge personnel that it can cause mental fatigue. This can result in an associated loss of alertness that can lead to a situation where a human reacts too late to an event that might otherwise have been anticipated. In view of this, and together with a focus on increasing the safety of navigation in areas where a high level of attention is required, ABB has introduced ABB Ability™ Marine Pilot Vision and ABB Ability™ Marine Pilot Control. The former is a situational awareness solution that provides real-time visualizations of a vessel’s surroundings, while the latter provides a dynamic positioning (DP) system that simplifies ship maneuvering. 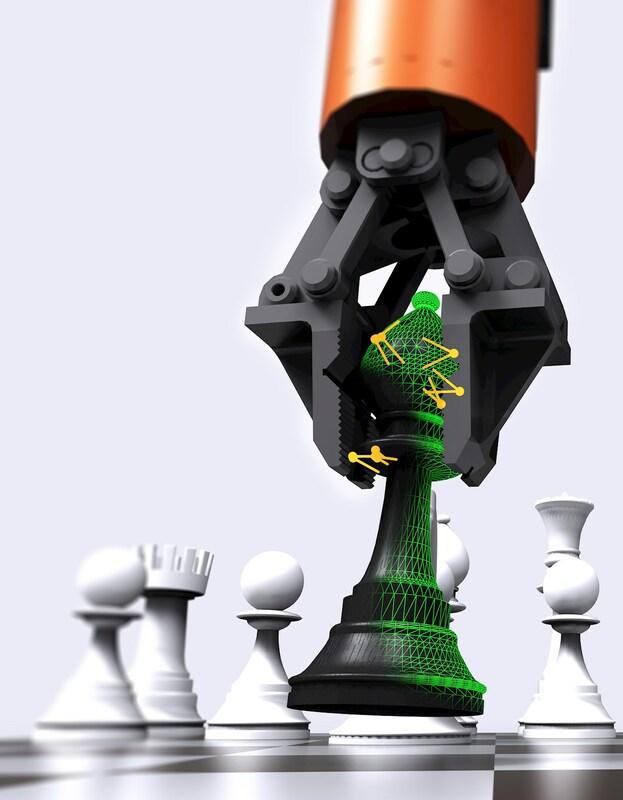 Together, the two technologies create a powerful formula for enabling autonomous operations. 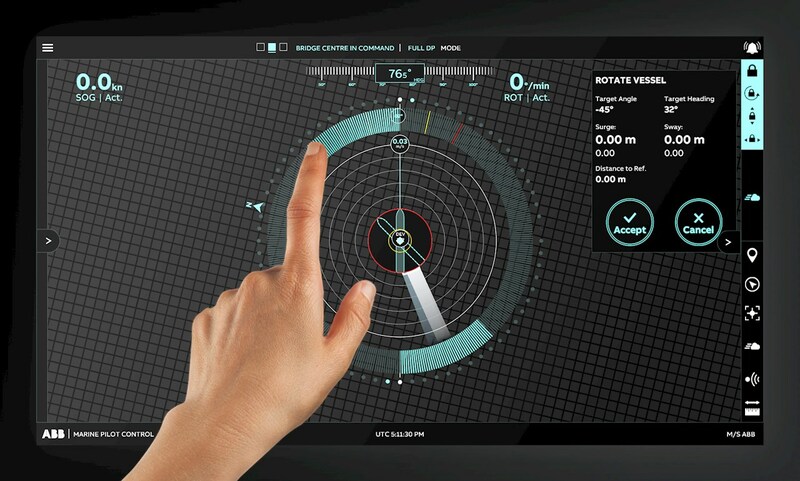 With its user-centric design, ABB Ability™ Marine Pilot Control reduces the workload related to navigational tasks and allows bridge officers to focus holistically on a vessel’s overall control and positioning. To accomplish this, the system employs algorithms that calculate the optimal way of executing a command for controlling a vessel in any operational situation. 1) ABB Ability™ Marine Pilot Vision and ABB Ability™ Marine Pilot Control are discussed in greater detail in Charting a course to autonomous shipping on pages 36-38 of this edition of ABB Review. Traditionally, process industries install sensors through openings in otherwise intact pipes in order to regulate and monitor critical processes like temperature. Requiring intimate contact with the process medium, thermowells protect the sensitive temperature measuring inset from the jeopardizing effects of the flowing medium. However, these devices obstruct flow, can cause failure and adversely impact the measurement value. Introducing such a system to an existing industrial facility can result in downtime, safety risks and additional costs. ABB’s NiTemp is the first temperature sensor to match the performance of invasive devices without breaching the pipe wall, or sacrificing accuracy or response time. The innovative double sensor architecture and advanced model-based approach results in the most accurate measurement of the surface temperature available in the market today. Temperature measurements deviate by less than 2 K per 100 K and response times are comparable or better than those obtained from invasive measurements. Installation costs can be reduced by up to 75 percent. There is no need to shut-down equipment, engineering workflow time is diminished and the time to deployment is reduced by an order of magnitude. State-of-the-art hardware components simplify requisition and maintenance of a fleet of such devices. 1) For an in-depth article see ABB’s noninvasive temperature measurement creates digitization use cases in the “Connected for productivity” section on p. 46. For miners, the reliability of their conveyor belt systems is critical. Conveyor motors, drives, belts, and transformers are usually well monitored. However, the many thousand rollers, or idlers, that carry kilometer-long belts have, until now, been largely excepted from this monitoring world. Failing idlers do not only waste energy but also cause excessive belt wear and misalignment – or belt rupture or fire. ABB has now developed a system that will do the idler inspection job not only fully automatically and very consistently but also with higher sensitivity and better cost-effectiveness than manual inspection. This new service uses a rail-guided vehicle to position the sensors automatically, accurately and repeatably. The service is called ABB Ability Conveyor Roller Inspection Services (CRIS). The CRIS sensor head has a thermal camera, a visual camera with an LED light and an ultrasonic microphone. The vehicle is a hanging (for stability) train with at least one locomotive and one sensor car. The sensor car controls the motion of the locomotive and the position of the sensor head on a pan-tilt unit. The vehicle design includes a rubber shell and a tilted roof to prevent damage from falling rocks. Inspection tours are preprogrammed and executed on a regular schedule, which eliminates the need for continuous radio connection with the vehicle. 1) ABB Ability Conveyor Roller Inspection Services are discussed in greater detail in ABB AbilityTM Conveyor roller inspection services on pages 44-49 of ABB Review 04|2018. 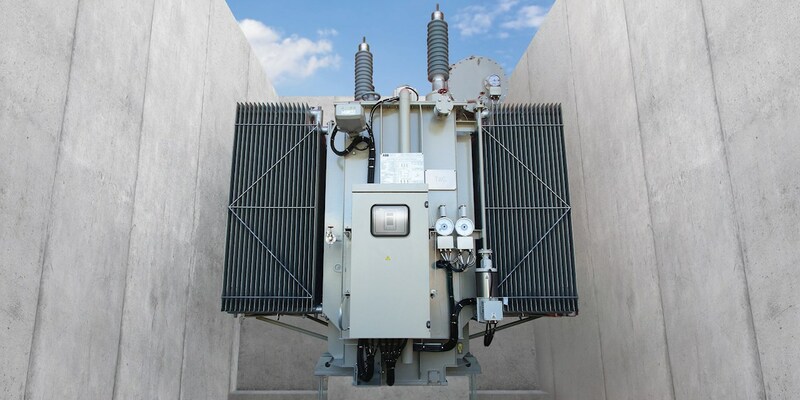 Power transformers are critical grid infrastructure elements that today face more dynamic load conditions and stress than has traditionally been the case owing to the integration of distributed energy resources and electric-vehicle charging infrastructure, etc. Therefore, today’s operators need actionable information and insights to better manage their fleet while ensuring the highest levels of reliability and availability. This is why ABB has developed the ABB Ability Power Transformer (AAPT) as a new standard for power transformers. Developed as a future-proof, modular platform concept, the AAPT is an integrated solution with digital capabilities, which include electronic temperature monitoring and onboard intelligence on load and ageing conditions as standard features. 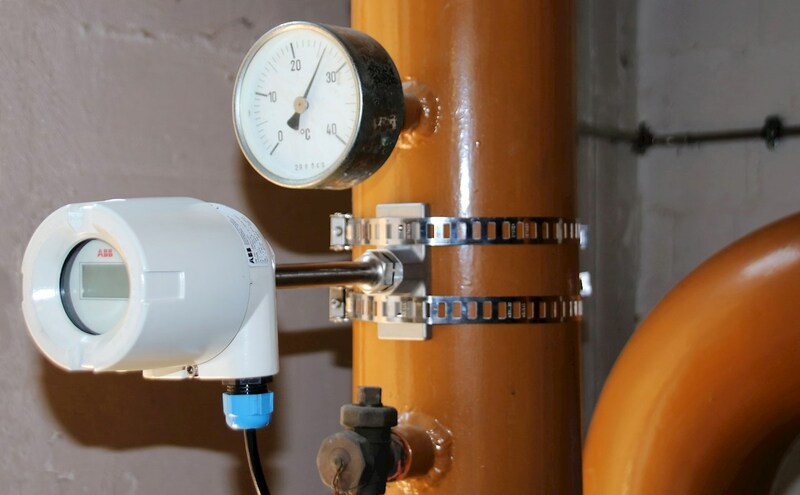 This solution can be scaled up to a full monitoring package with plug-and-play connectivity to include the whole family of ABB eDevices (digitally enabled measurement and safety devices), ABB’s dissolved gas analyzers (DGA) CoreSense and CoreSense M10, and the option to integrate third-party sensors and instrumentation. The AAPT platform is independent of the type and size of the transformer and is fully compliant with relevant industry standards. To ensure system stability under adverse conditions, the solution has been subjected to testing with high-voltage impulses that mimic lightning strikes. The transformer can easily be connected to the station control via a built-in Ethernet cable and fiber-optic interfaces, or wirelessly. All connectivity solutions are cyber-secure and different data architectures are possible based on customers’ requirements. Establishing a new industry standard, the ABB Ability Power Transformer drastically lowers the barriers for customers to reap the benefits of digital technologies and enables them to take control of their digital future, today. Until now, utilities have performed costly and hazardous internal visual human inspections of transformers to determine routine internal conditions and to isolate the exact location or severity of a fault. Always alert to customers’ needs, ABB formed a multidisciplinary group of experts to redefine transformer inspection: the result is the submersible transformer inspection robot TXplore. After successfully completing rigorous laboratory, field and near-real-world condition testing, this remotely driven craft was introduced at the Hanover Trade Fair on April 23, 2018. 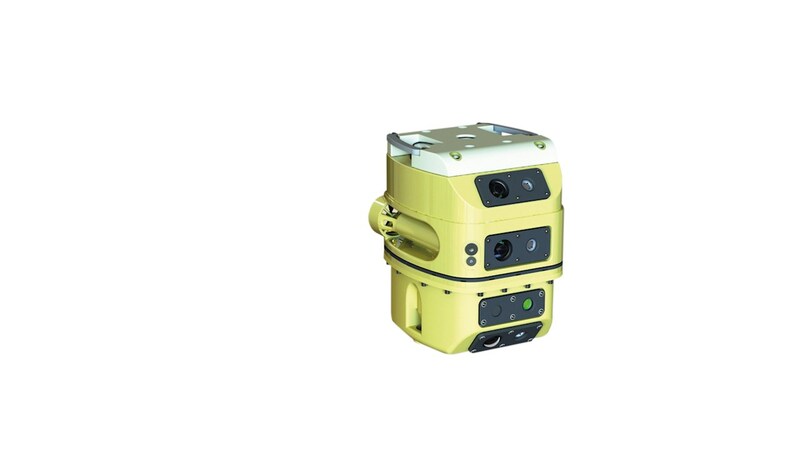 Especially suited to perform routine baseline inspections for future comparison of the internal condition of the transformer, TXplore visually maps the interior of oil-filled transformers while preserving the integrity of the oil, and allows personnel and customers to view the inspection results and images safely, in real-time. In these cases, human inspectors are not required and the risk of damage to the transformer is minimal. 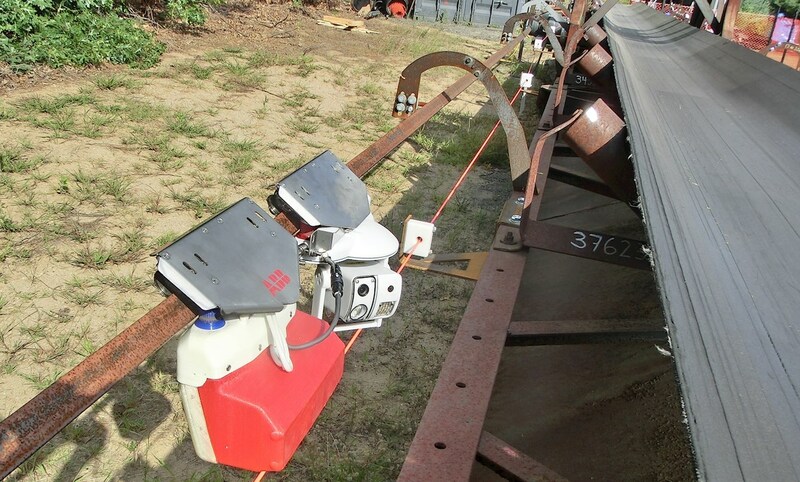 Inspections can be completed within a day or two, with two personnel: a topside equipment manager to set up and manage the robot and a robot pilot to navigate, gather data and communicate with experts and customers. Consequently, routine transformer inspections are safe and efficient; downtime is shortened, and both human and capital costs are reduced. 1) TXplore is discussed in greater detail in ABB’s TXplore robot redefines transformer inspection on pages 28-35 of ABB Review 03|2018. 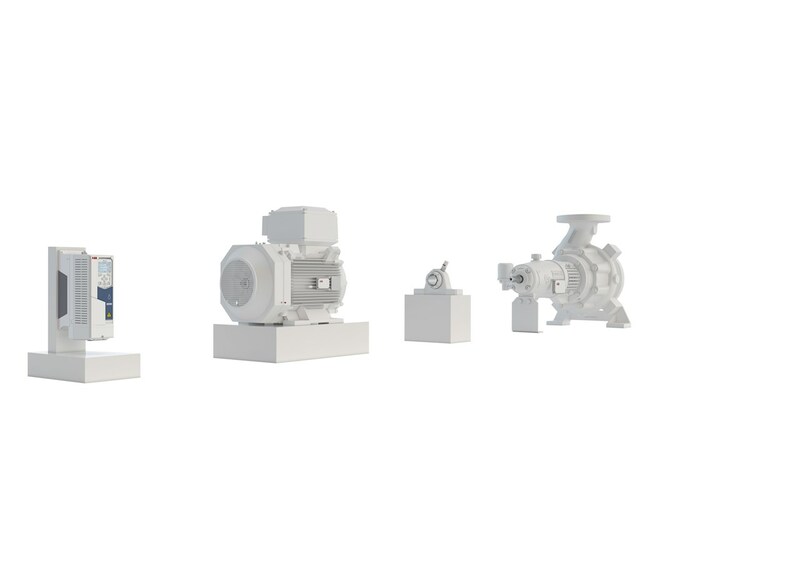 The ABB Ability™ Digital Powertrain for drives and motors Electrical powertrains – the motors, generators, drives, converters, bearings and gearboxes that drive pumps, machinery or other process equipment – are particularly critical components of many processes and must be kept running. ABB has now introduced the ABB Ability Digital Powertrain to improve engineering efficiency, safety, equipment uptime and production output while reducing risks and costs in everyday operations. ABB Ability Digital Powertrain keeps operations running efficiently – and even predicts failures before they happen. The Digital Powertrain is a suite of digital products, software and services for motors/generators, drives/converters and mechanical powertrain components such as bearings. Surprisingly, over 80 percent of powertrains are currently not monitored. Therefore, providing a simple, cost-efficient solution like the Digital Powertrain will be a game-changer. Each powertrain can send data to the cloud that is then visible to the operator on a simple dashboard. Data analytics and connectivity with ABB experts make operations efficient, predictable and safe. Digital Powertrain Internet of Things (IoT) solutions encompass devices, software and services. ABB Ability Condition Monitoring for powertrains, for example, is a service product that visualizes the data of the individual assets of an electric powertrain in a unified monitoring system and, with the help of ABB’s expertise, delivers comprehensive insights as to maintenance, repair or replacement needs. Other service products in the ABB Ability Digital Powertrain cover life cycle assessment, virtual commissioning and remote assistance. These products are complemented by physical devices such as ABB Ability Smart Sensors for pumps, mounted bearings and motors, and wireless Internet gateways. The digital powertrain opens up many fields for additional actionable insights, analyses and informed decision making. It shows the way forward so that modern industry can achieve better reliability, uptime and efficiency – and reduce costs. Rapid growth in the photovoltaic (PV) power market is putting severe cost pressure on components. 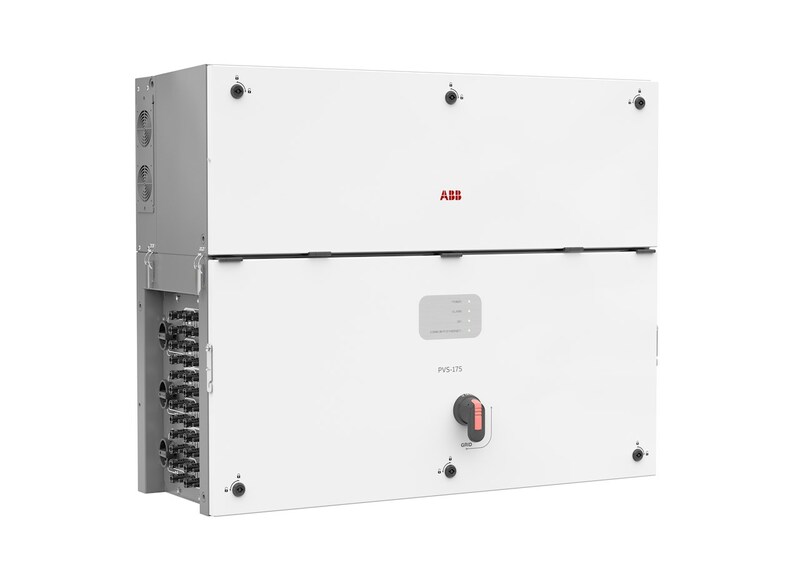 ABB has responded to this situation by introducing the PVS 175 string PV inverter – the first string inverter from ABB with a PV string voltage up to 1,500 V (a PV inverter converts the variable DC from solar panels into the AC the grid needs). The output AC voltage from the PVS 175 is 800 VAC, which allows AC cable cross-sections to be halved compared to standard 400 VAC products, thus saving costs. To further reduce costs, and to improve reliability, the PVS 175 has 12 independent DC inputs that allow the direct connection of the PV strings to the inverter – without using protection fuses. Each DC input employs a tracking algorithm that maximizes the energy that can be extracted from the PV array. This tracking and the large number of DC inputs available gives the PV plant designer great freedom when configuring the system. The PVS 175 has a power rating of 175 kW up to an ambient temperature of 40 °C (185 kW up to 30 °C), making it well suited to operation in hot climates. The inverter can communicate via WiFi or Ethernet and be equipped with an integrated web server for fast commissioning. The PVS 175 has a double-stage configuration: DC power from the PV panel is first stepped up to a stabilized DC voltage, which is then converted to grid AC power. The DC/DC converter uses a SiC MOSFET and diode to improve efficiency, reduce size and improve reliability. These SiC components have the advantage that they can operate at higher temperatures than conventional silicon equivalents. As the leader in the standard and premium drive market, ABB has introduced the Drive Connectivity Panel, a unique plug & play device that has been awarded the “Innovation Product 2018” prize by Modern Manufacturing Magazine. The new panel offers an array of features designed to make an extremely broad range of information easily readable and visualizable. Customers can tap into data such as motor behavior settings, control macros, diagnostics, energy efficiency and energy savings, to name just a few key areas. Thanks to the latest Internet of Things (IoT) mobile technology available anywhere – including both narrowband (NB) IoT and Bluetooth – the panel can interact with drives in a spectrum of industrial environments. And thanks to the panel’s connectivity to ABB Ability cloud services, data encryption and resulting high level of cybersecurity, customers are able to remotely monitor the status of their ABB drives, operational KPIs, events, and real time and historical parameter trends through continuous data uploads. 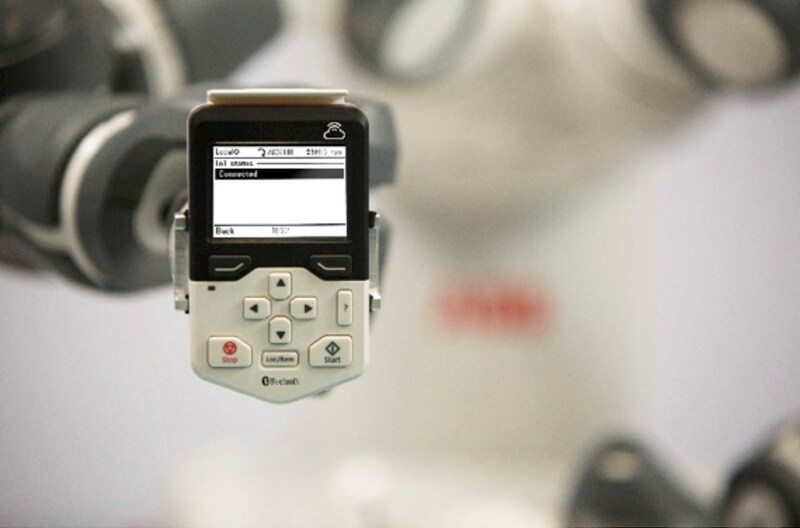 Remote assistance provides easy access to ABB expertise on-site to track down problems. All of this adds up to substantial customer value in areas such as device and asset management, remote condition monitoring, predictive maintenance, product insights, product use analysis, and product optimization and customization. Indeed, data provided by this new platform can reveal the true potential of drives and help create new business models and customized services. Downtime due to a failed bearing can be very costly, but inspecting these components, which are often located in hard-to-access locations, is generally difficult and time-consuming. 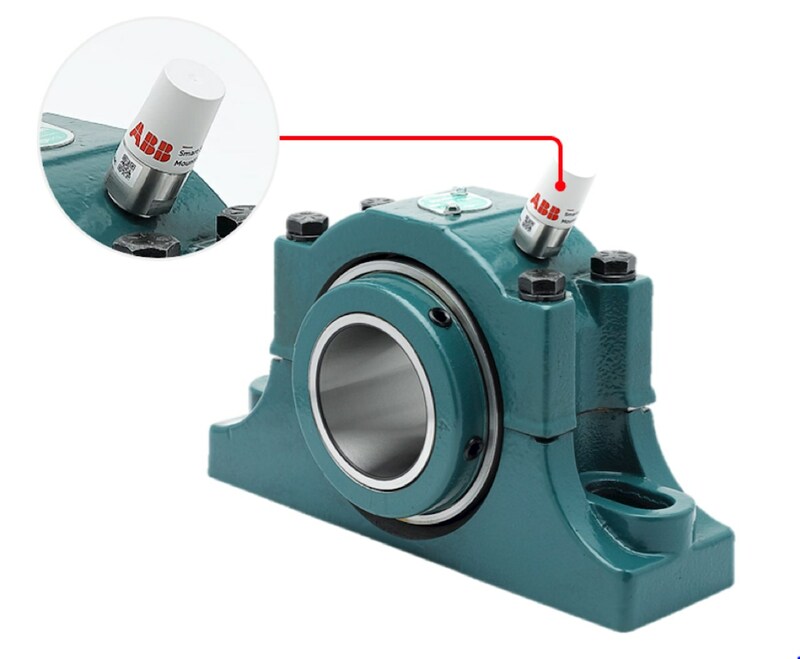 With this in mind, ABB has developed the ABB AbilityTM Smart Sensor for Mounted Bearings, which allows users to monitor these difficult locations and identify potential issues early. The sensor is part of the ABB Ability Digital Powertrain. Customer interviews revealed that ever more highly-skilled maintenance mechanics, who could often diagnose bearing issues by small changes in sound or temperature, are nearing retirement age and companies are not able to replace them with like-minded workers. In view of this, an R&D project was mounted, between ABB and external vendors, that took advantage of technological advances in electronics, connectivity, sensing, and the Cloud. The resulting bearing sensor is a wireless condition monitoring solution that allows customers to quickly assess their bearings’ health. Built-in diagnostic capabilities reduce the need for condition monitoring analysts, and asset health knowledge will allow ABB customers to make better decisions. 1) ABB’s wirless condition-monitoring bearing sensor is discussed in greater detail in New bearing sensor enhances safety and decsion making on pages 64-67 of ABB Review 01|2019. Since the introduction of first-generation electric vehicles (EVs), starting around 2010, ABB has become the global market leader in DC fast charging systems. Now a new generation of EVs with larger batteries, higher drive train voltage and faster charging capability is ready to appear on the market. 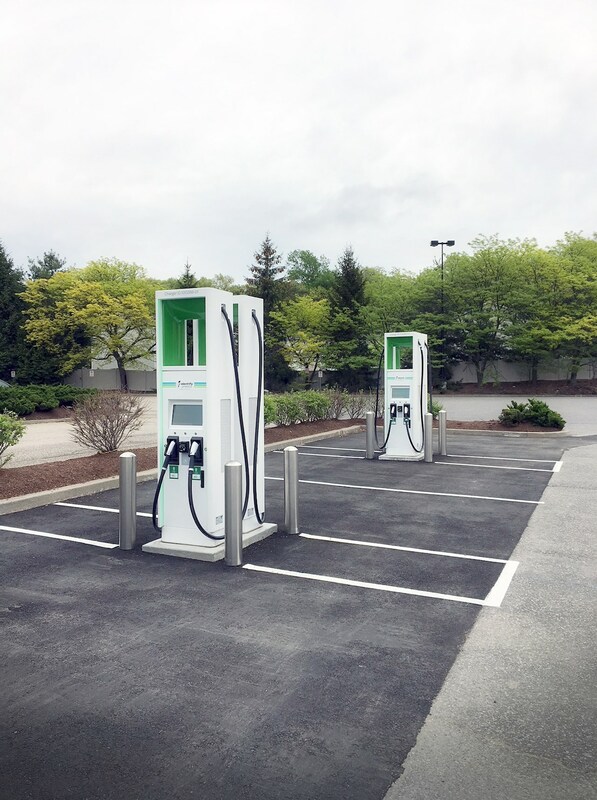 To support these vehicles, ABB created Terra HP, a modular high-power charging system that supports CCS and CHAdeMO – two of the dominant charging schemes. 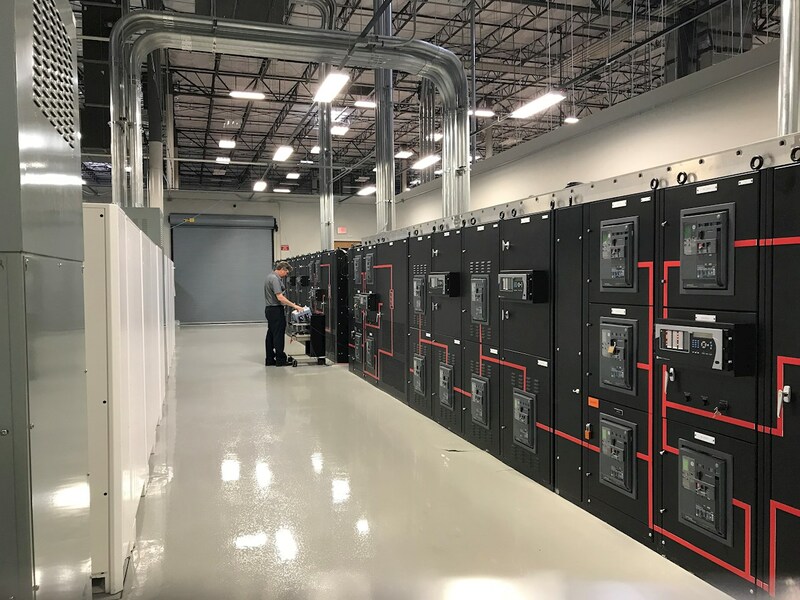 Terra HP delivers up to 350 kW, 500 A and 920 VDC. That is seven times the power, four times the current and twice the voltage of a traditional 50 kW charging system – a big step forward in EV charging. The Terra HP high-power charging system is modular and expandable, which allows charging sites to be scaled up as the EV base grows. A key technology is the use of liquid-cooled charging cables. Conducting 500 A using traditional technology would require a copper cable too stiff and too heavy to use. Instead, ABB and its suppliers developed a relatively light, thin and flexible cable with active cooling and temperature monitoring. The Terra HP project went from concept to field commissioning in under 18 months, with over 10 patent proposals submitted to secure technology leadership in high-power charging. Terra HP is the first 350 kW system operational in the field globally. It is selected by leading charge point operators including some of the largest EV charging networks in the world: Electrify America, EVgo, Fastned and IONITY. ABB’s ring bus architecture with static uninterruptible power supply (UPS) is designed to provide reliable and available power at minimal costs to mission critical facilities, like, data centers. Currently deployed, this unique system has many advantages over conventional ring bus architecture with rotary UPSs and over conventional architectures with static UPS: faults are detected and isolated without risking system failure or shut down; systems remain operational because remaining UPSs share load equally. To locate and isolate faults a number of circuit breakers and the related logic and relays are included. During a phase-phase short circuit on the ring bus, the worst case scenario, the UPS output current remains at the limit of the inverter current limitation regime, thereby establishing the minimal inductance of the ring bus choke. If a fault occurs on the output of one UPS, the other UPSs are decoupled from that fault through two chokes; this ensures fault isolation. Furthermore, synchronized inputs are not required, nor is there a need for connecting switchgear in parallel. This protection scheme creates a virtually self-healing structure. Currently available systems have been developed using reliability estimation models and transient simulation software to analyze system performance and power transfer capability for ring bus systems of any size. Rigorous testing demonstrates the superior reliability of ABB’s ring bus architecture with static UPSs, due to the lack of interaction between UPSs. Even during a worst case scenario with 4 UPSs and a voltage window of 86.5 percent after 10ms – a utilization rate of 60 percent is possible – an excellent result. 1) For an in-depth article see ABB’s ring bus with static UPS for critical power applications in the “Connected for productivity” section on p.54. 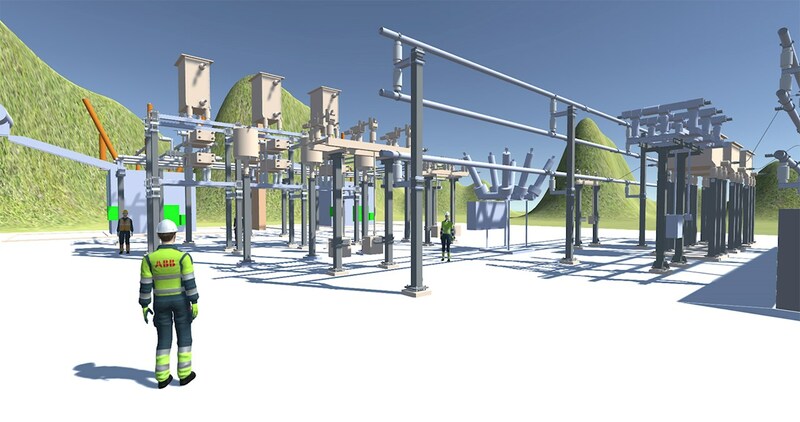 Engineers working in the grid integration unit of ABB’s Power Grids vision are now using a virtual reality (or VR) platform to model and review designs in collaboration with their customers. The platform is based on a popular development platform called Unity, which is used for real-time animation in animation and video gaming, and it allows engineers to drag-and-drop 3D models into virtual renderings into any context, such as potential or existing installations. By flipping the traditional approach of using 3D models to support creation of 2D drawings, the platform makes review and revision of designs far easier and more cost-efficient (as more robust and complete renderings enable decisions earlier in the process). Using it requires no special software. More intriguingly, customers can put on a VR headset and walk around as “avatars” within the virtual worlds of projects, thereby literally seeing how items fit into spaces, and exploring the implica-tions for processes, safety, and other design considerations. ABB has also built upon a core element of video gaming – playing together from remote locations – and set up virtual collaboration rooms in Turgi, Chennai, Beijing, Ludvika and Västerås. In these online rooms, collaborators and customers can explore a virtual power plant together, as avatars, even though they may be physically located at other sides of the planet. The new platform enables a new level of development efficiency and customer collaboration, even if the experience might not be as viscerally immersive as the VR in movies like The Matrix. At least not yet. Even the most casual observer can appreciate just how tumultuous and dynamic the pace of technology development has become. This hectic environment makes it difficult to advance innovations from their early idea stage to a market-ready product fast enough. To speed the trajectory of innovation with external partners in this dynamic world, ABB has set up SynerLeap – an innovation growth hub located at the heart of the ABB Corporate Research Center in Västerås, Sweden that helps companies reach a global market and scale up their business. SynerLeap partners with entrepreneurs and startups, and enables them to benefit from the resources, the internal network and the competences available to a major multinational like ABB. The vision is to reach shorter innovation cycles, decreased time to market and mutual strengthened competitiveness. One important membership criterion is how well the member’s contribution can enhance or complement ABB’s existing or up-and-coming solutions – mutual benefit is a key aspect of the SynerLeap approach. With SynerLeap, ABB demonstrates how close interaction with startups leads to actual business value in terms of concrete projects, knowledge exchange and faster innovation. Currently, SynerLeap has over 30 members with around a dozen joining annually. With each startup, the SynerLeap team and the relevant ABB business map out a specific collaboration project to ensure maximum value extraction for all parties involved. As the pace of technology development increases, partnership with startups will become an even more important aspect of how ABB embraces open innovation. This issue of ABB Review contains an interview with key SynerLeap members (p. 24) as well as an article (p. 28) that describes how the SynerLeap model has worked for two of the member companies.